Wooden shelving is by far one of the best storage solutions for any home or workplace. Our systems are made from quality solid pine and each shelf can withstand over 100kg – perfect for holding heavy books, equipment and entertainment systems. Our units are finely sanded and varnished for a perfect finish and you can paint or stain the wood to suit the style and decor of your room. Simply rub down the varnish with fine wire wool and paint your bookshelf in a beautiful burnt orange to brighten up the dining room or stain in a traditional pure mahogany to give your office a sophisticated look. To make life that little bit easier, our systems do not require any polish and can be cleaned by simply wiping down with a damp cloth when necessary – giving you more time to sit back, relax and enjoy your home. With our unique storage units you can easily maximise your space and ensure items such as printers, speakers and games consoles are not cluttering the room. 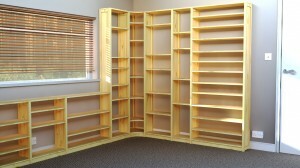 Alter your storage shelving and create a new design to suit the size and shape of any room. If you begin to accumulate more items, move house or decide to move the system into a different room, you can easily rearrange the shelves to meet your needs and requirements. Add a handy sliding keyboard shelf or filing cabinet for the office or give the children a convenient place to do their homework and store school books. In doing our bit to help the environment, our wood is sourced from environmentally managed forests. We use a high quality pine and each unit is designed to last a lifetime. 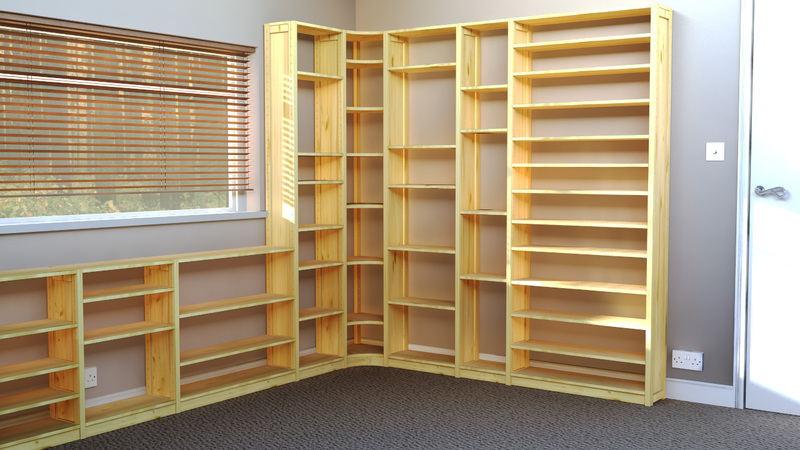 Contact our shelving experts today and let us help you create your very own storage solution.